Today I am pleased to finally be updating the header art here on the blog! 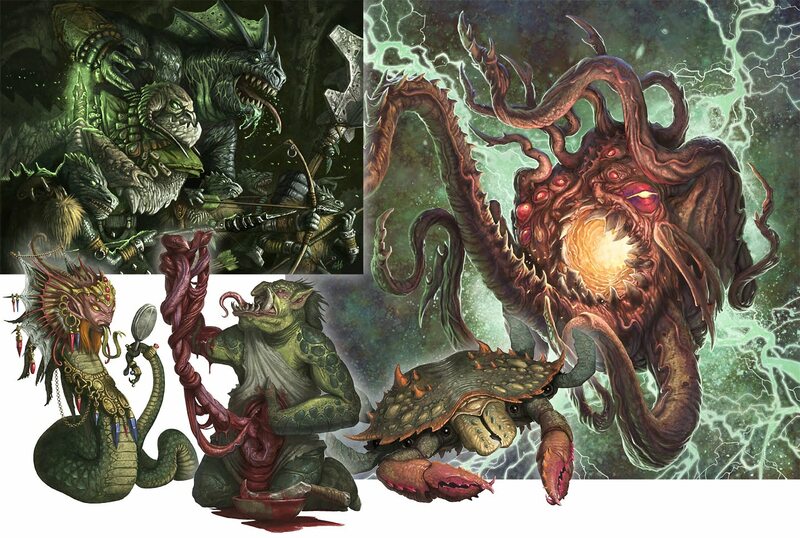 Say 'goodbye' to the faces, and 'hello' to the crazy tentacle monster with a snappy claw. This is a long time in coming and needed to be done a year ago but I kept dragging my feet finding other things to occupy my time and attention. A much needed faces lift - RAWR! 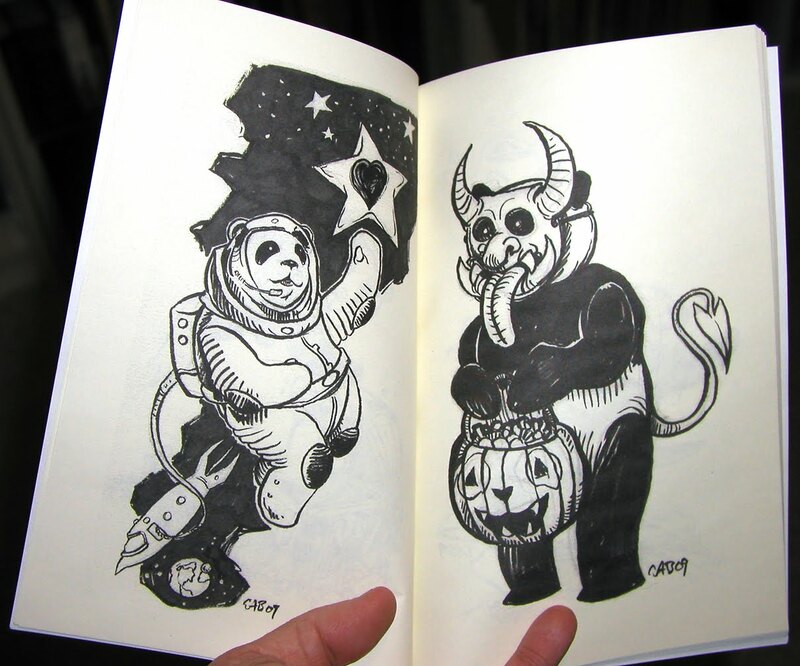 Header art drawing - Black and white RAWR! 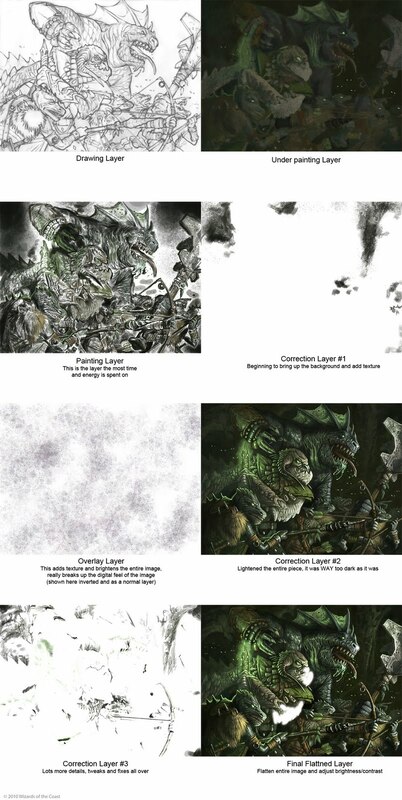 If you saw me scribbling away at Illuxcon in November you may have seen me working on the above drawing. It still took me a couple of months to finally get enough time cobbled together to finish this piece up. ...but that is what counts, right? There was one final action I took in 2010 to get More Serious that I have not yet mentioned... I submitted to Spectrum for the first time. Those not familiar with Spectrum should head over to their website. 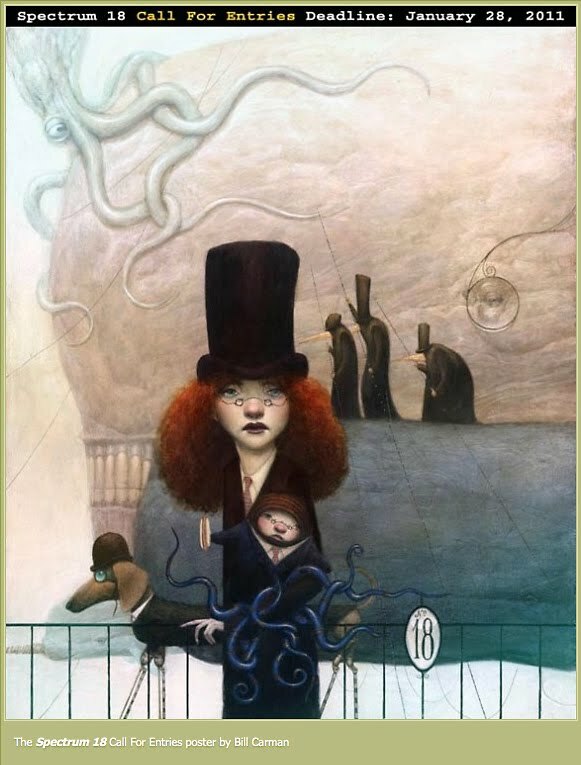 Basically, they are the go to annual review publication that features "the best in contemporary fantastic art". Or simply put, the BEST of the BEST! I generally don't like to talk about things that are not finalized or that will result in a blow to my ego when I am not selected. All that aside, I felt it is important to mention that I have stepped up and have thrown my name into the Spectrum hat. Another reason I am mentioning it now, is that today happens to be the deadline for submissions for Spectrum 18 and it reminded me I hadn't talked about it yet. I am not kidding myself with the chances of making it into Spectrum 18 but I needed to start trying. Every year they get the best of the best from artist all over the world... and I am an artist... from this world... so I sent them my best. Like I said, I am trying to get more serious about my work and that means taking my work seriously and submitting to the most important annual publications for fantastic art. My peers and friends have begun submitting and are getting published so I figured I need to step up as well. I won't say how many or which pieces I submitted, I have to have my secrets. So here I sit with my fingers crossed waiting for word that probably won't come... but there will always be next year! 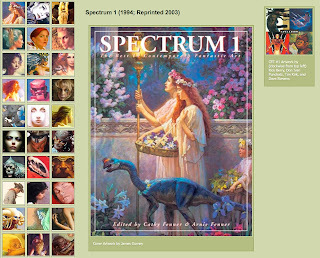 Spectrum (and more) cover gallery from the Spectrum website. On a side note... back in 1994 I worked at a comics and games store and one week we got in this thick book filled with page after page of amazing artwork. 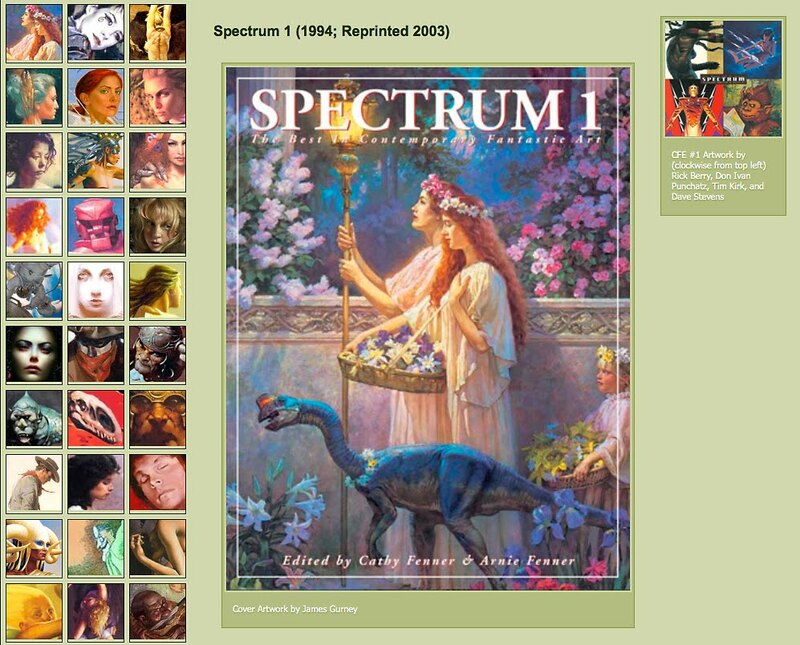 It was a new annual called Spectrum. Since it was the first one and no one knew if there were going to be any more I bought it and was mesmerized. I clearly remember thinking to myself that I will never be as good or as creative as anyone in that book, never in a million years. So it is not lost on me that 17 years later I have submitted my own work to Spectrum. I most likely will not make it in, but I have finally submitted my work... and there is that off chance I will get one piece in! Good luck to all who have submitted! May our talents be recognized and out flaws ignored! Earlier this month I had a post looking back at 2010 and how I got More Serious with my illustration work. In that post I talked a little about how I have tried to use more reference and to go about using the reference in a better fashion. This look at reference generated several questions and requests for me to share more of my thoughts on reference. I thought I would address one set of questions left by an anonymous poster. I am going to tackle Anonymous' question in two parts, first looking at how I was and how I am now using reference, then I will share some thoughts on reference as a whole. Anonymous asked: "I would love to understand better how you mean you were using reference wrong. Is the difference: BEFORE you would look at it once then put it away, and AFTER you would draw directly from it like life drawing (look draw look draw)?" How was I using reference wrong? I WAS NOT USING IT! It is that simple. When I made the effort to get it I would take the photos or have them taken of me, I would pick the single image I thought best, print it out, look at it once and start drawing. I would maybe revisit it once while painting… sometimes. This is a huge waste of time for me, the model and my art director. What is the point of reference if I am not going to make it an important and early part of EVERY project I begin. 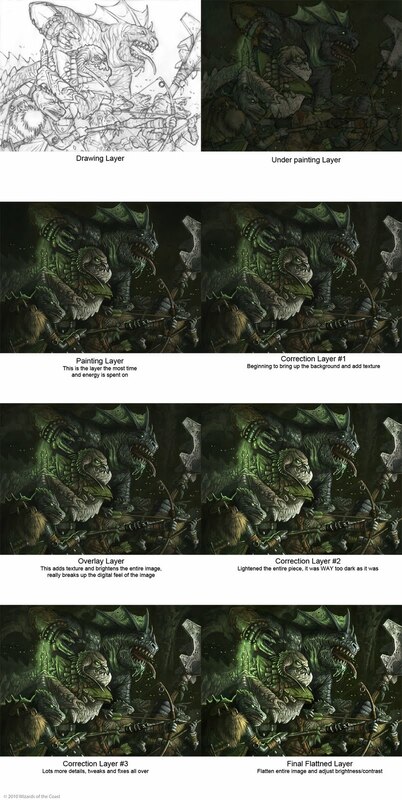 I posted a similar comparison in my Getting More Serious post showing the night and day differences in regards to having reference and actually using the reference. The one thing that I will pat myself on the back when it comes to my art is my skill with a pencil. I love to draw and I have devoted many many years of my life to it. Unfortunately a lot of that time was spent drawing just from my head. My one saving grace is my veracious appetite for books with neat pictures and my love of going to zoos, aquariums and enjoying the outdoors. After years of looking at all of these things I have created a toolbox of resources in my head to pull from, but this resource is lacking in areas (just look art the Warlocks head). This is why using reference while working is so important. The world is just to complex to pull just from your head. The reference I used for the drawing was very similar to the pictured reference, save several VERY important differences. The original reference was shot from much too far away, was blurry and I obviously NEVER looked at it. 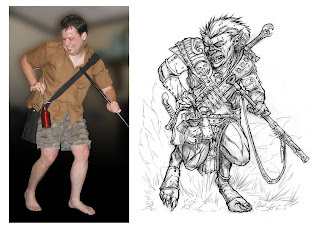 The drawing is what I thought the photo looked like versus what the photo actually looked like. The drawing and paining are both based on the same person in the same pose. If I hadn't done this myself I would not believe it. To me, the drawing looks like it was produced by a person with less ability then the person that created the painting. You can really see the disconnect in the above image, the drawing looks nothing like the reference I thought I was using and resulted in a poor drawing that caused many problems and a lot of wasted time when it came to the painting. Another key thing I realized is I need to use and take multiple images for the work I am doing. 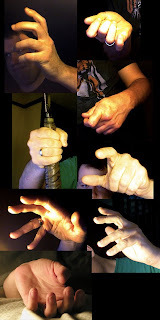 Multiple closeup photos of hands in several different poses from several different angles are invaluable, this applies to the face and head as well. Make sure to get photos of your figures from different angles so you can really understand what you are looking at. You also never know when a happy accident will happen and you will discover a better solution while taking photos. Very complex and very important, hands deserve time and attention. Make sure you get nice close ups and some variations because you never know when a particular images is just going to 'look off' in the final piece. A foreshortened thumb can look really weird and out of place and will need to be revisits. Using and acquiring reference goes beyond the human body. Plants, rocks, animals, architecture, vehicles, costuming and weapons all need to be studied and referenced. Even if you are creating things that are completely unworldly there is something on this planet that will function as an analog to help you understand the form and texture and will help with how light affects it and is affected by it. Even if you have to arrange balls of colored clay in a space and shine a light on it you will get a guide to how the light and color is working on the forms. This is invaluable and will make all the difference between a mediocre and an exceptional illustration. 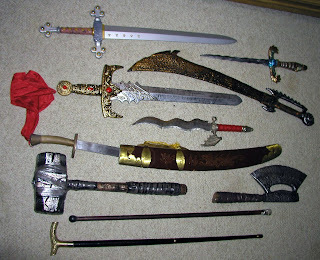 A sample of plastic, metal and wood prop weapons I use in photo shoots. Simply holding them helps understand the perspective and relationship in space of hard objects like weapons. 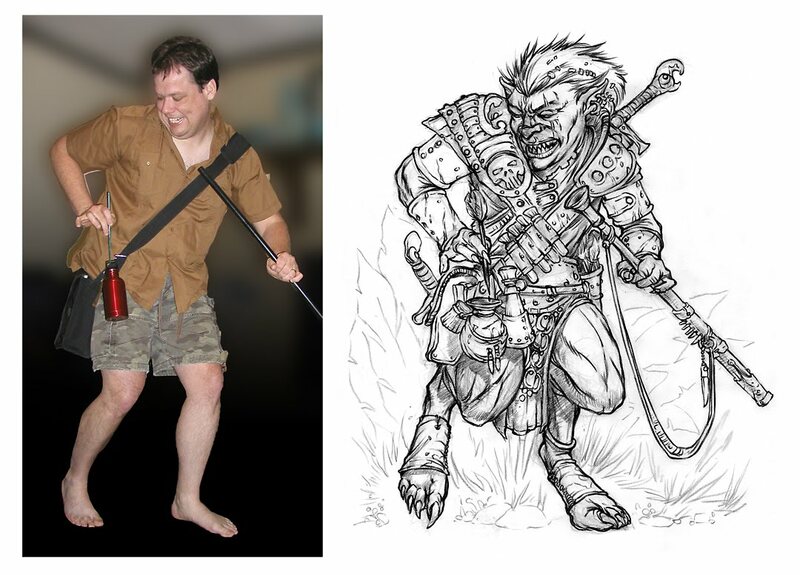 Not to mention is if fun to pretend to be Ogre with a club and having a club in the hand helps you get more into the physical depiction of the creature. Anonymous asked: "The thing that has made me reluctant about reference is the idea of being limited by it. Your warlock with reference looks more believable, but it also looks like the person in the photo, so to have a variety of bodies and faces you have to pull in lots of people into your studio for shots? So if I want a skinny tall guy and a short fat guy I have to go find some people like that? If you're warlock was angular emaciated undead, wouldn't you have had to change the surface/light so much from your reference (for sunken cheeks and angular nose) that it would be more out of your head then the photo anyway?" Reference is never a limitation… NEVER. I have been given so many new ideas and unexpected information when looking at reference, be it books, the world around me or photos I take myself. You only limit yourself by not using reference. By not looking at new and different things how do you ever hope to come up with new and different ideas? If you only use what you currently have in your head that is all you will ever create, the same unchanging arrangement of parts from your mental toolbox. And more over, what if those parts in your mental toolbox are wrong, inaccurate or based on years of bad habits? 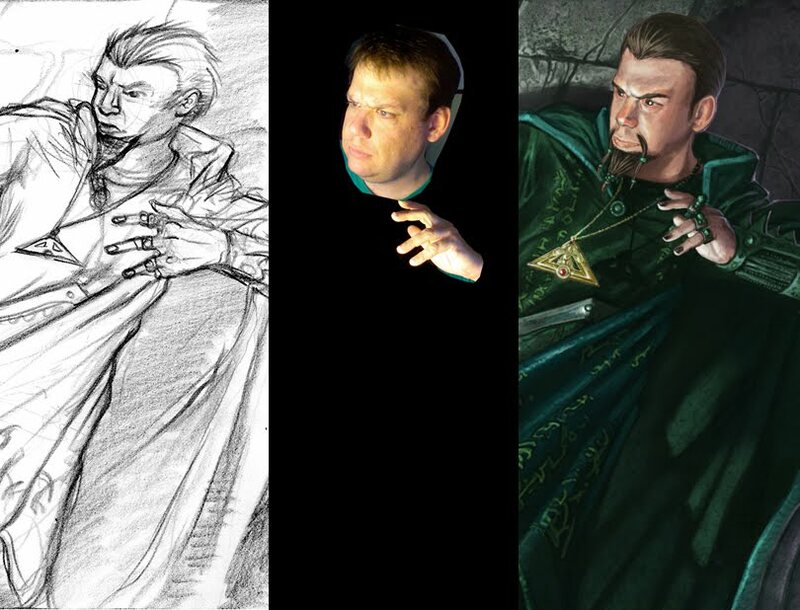 Well, you get drawings like my Warlock Apprentice rather then paintings like my Warlock Apprentice. I am no goblin but I make useful and much needed reference for the piece all the same. By holding objects and wearing accessories I was able to get into the feel of the creature and have some fun. The pose, hand positions and all around physicality of the piece are all GREATLY improved by having this photo to work from. If I drew the goblin straight from my head it would have been much flatter much more static with less personality. Many choices within the piece were spurred by the reference and make it better and more believable as a whole. Getting help with foreshortening of limbs is so helpful! Yes, the Warlock does look like the photo reference, but if you look more carefully I did change it from the reference to have some the qualities I wanted and needed for the piece. We can't always have or may never have the reference we need for a piece and that is when you as an artist must make the leap using your abilities while still using the available reference. Yes, it would be great to have on hand loads of people that fit every body shape and form and any number of props, objects and accessories to assist us with reference, but that is not possible and we make the best with what we have. Again, I am no imp but I can be enough to answer the questions I will have when I am drawing the pose. I do not have wings or a tail but I do have hands and a face that I can use to create a much more expressive creature. The other parts I can look to animals and Medieval imagery to fill in the rest… as well as my own voice and creativity. Reference is not an end unto itself and can not be expected to be perfect. Forms might look perfectly fine in a photo and then totally wrong in a painting and vice versa. You need to know when and how to change things, and that will come in time with practice and trial and error. It took years for me to figure this out, it is not an over night decision or change. Having reference that is not 100% perfect for what you need is 100% better then not using any reference at all… in my opinion at least. Using the Warlock reference photo I did a couple quick sketches, all based on the photo as a reference. Having a face to look at when drawing these other faces is SO helpful. You see form and perspective as well as how the temperature and brightness of the light is affect color and is defining the form. Trying to pull all of the information out of your head that is photo illustrates is extremely hard and why waste all that time and effort when you can simple take the photo and concentrate on creating your illustration with it's help. 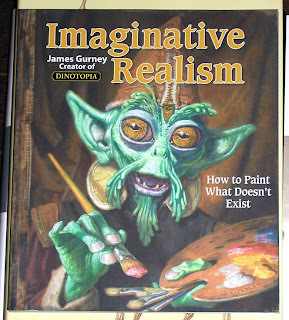 Keep in mind that all the top illustrators in the field today use reference. Artist for hundreds of years have been using reference. We are only deluding ourselves and wasting time by not making an effort to use reference with every project we work on. I hope this answers and addresses all of Anonymous' questions and concerns as well as being helpful or useful to everyone else. If you have any further questions just let me know and I will try to answer them in a timely manor. 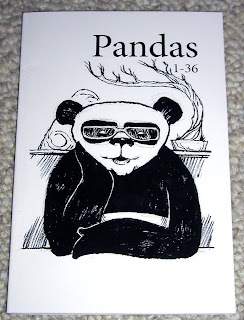 Panda Book - NOW AVAILABLE! I mentioned recently that I made a book of my panda drawings for my wife. That book is now available on Lulu.com! As per my wife's wishes, all proceeds from the sale of this book will be going toward organizations that help the giant panda. It is a win/win situation! Help pandas and get a panda book! Pandas 1 - 36, 42 pages containing 36 pandas doing panda things... as long as panda things involve space travel and destroying cities. Head over to Lulu.com and order yourself up a copy (or three), it is quick and easy! 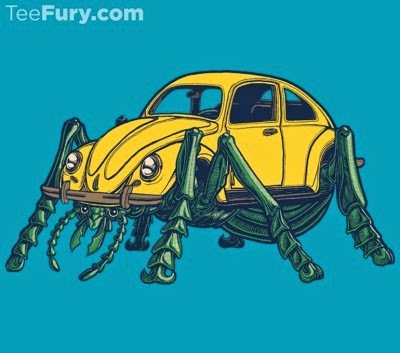 It would make a great gift for any age! Don't forget, Valentine's Day is just around the corner, and what better way to say, "I love you." then with the gift of pandas! 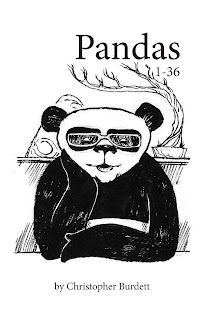 You know you are at the right place when you see the panda in the glasses! While there if you wouldn't mind leaving a comment, a rating or even to share the like or 'like' on Facebook, it would be VERY appreciated! 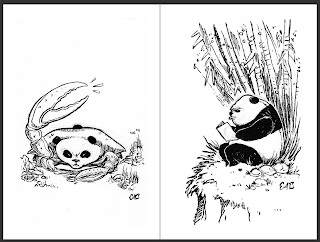 Spread the word for my panda book! If you missed all the previous links to the book's page, just click HERE! 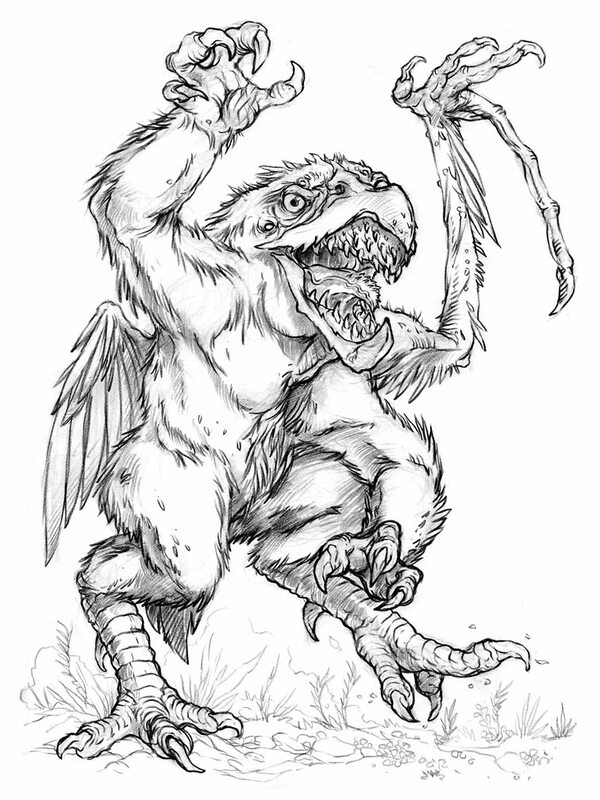 Fresh from the drawing table... Owlbear! 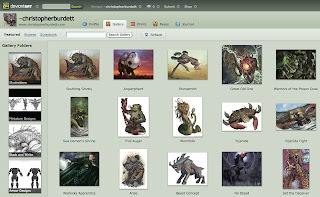 A while back there was an ArtOrder challenge to reinvent the Owlbear. At the time I was just to busy to participate and I was kicking myself ever since. 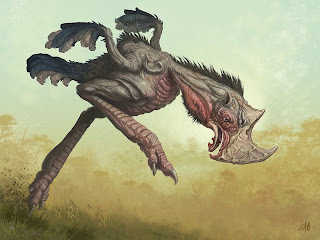 I hoped for the chance to create my own Owlbear and it looks like I finally got the opportunity! 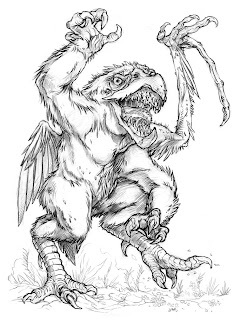 The Owlbear was always thought of a creature possibly made by some wizard's experiment and I thought that could be pushed even further. Why did the wizard have to do a good job at making a new creature? 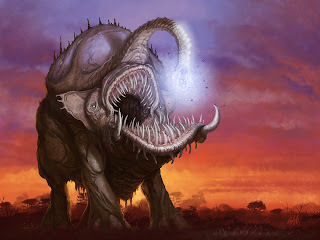 Why could it not have gone horribly wrong while at the same time have created a creature that functioned and survived... in it's own way. HOOT RAWR! My first 100 original Dungeons & Dragons Monster Manual redesigns (A - Z): Aerial Servant, Ankheg, Ant (Giant), Ape (Carnivorous), Ape (Gorilla), Axe Beak, Axe Beak (version 2), Baboon, Badger, Barracuda, Basilisk, Baluchitherium, Bear (Black), Bear (Brown), Bear (Cave), Beaver (Giant), Beetle (Giant) - Bombardier, Beetle (Giant) - Boring, Beetle (Giant) - Fire, Beetle (Giant) - Rhinoceros, Beetle (Giant) - Stag, Beetle (Giant) - Water, Beholder, Black Pudding, Blink Dog, Boar (Giant), Boar (Warthog), Boar (Wild), Brain Mole, Brownie, Bugbear, Buffalo, Bulette, Carrion Crawler, Catoblepas, Cerebral Parasite, Chimera, Cockatrice, Coutal, Crab (Giant), Demon Type III (Glabrezu), Demon (Juiblex), Demon (Manes), Devil (Ice), Dragon (Red), Elemental (Earth), Ettin, Eye of the Deep, Flightless Bird, Frog (Giant), Fungi (Violet), Giant (Hill), Goblin, Golem (Flesh), Hobgoblin, Homunculus, Hydra, Imp, Intellect Devourer, Ixitxachitl, Jackal, Jacklewere, Jaguar, Ki-Rin, Kobold, Lich, Lizard (Giant), Lizardman, Manticore, Mind Flayer, Minotaur, Naga, Neo-Otygugh, Nixie, Ochre Jelly, Ogre, Owlbear, Peryton, Pixie, Purple Worm, Quasit, Ram (Giant), Roper, Rust Monster, Sahuagin, Salamander, Shambling Mound, Treant, Troglodyte, Troll, Umber Hulk, Unicorn, Vampire, Wasp (Giant), Wight, Wyvern, Xorn, Yeti, and Zombie. 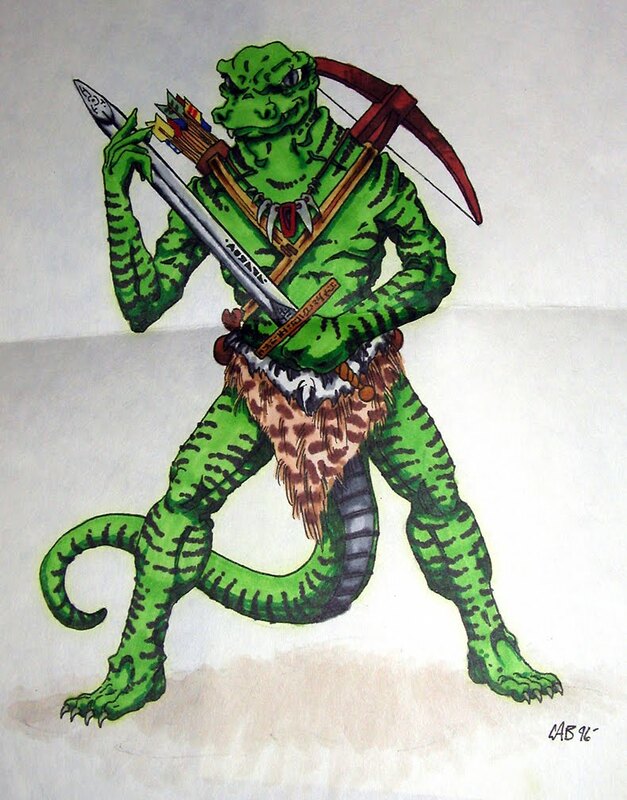 Targus the Lizardman is VERY VERY GREEN, because he is a lizard. It is nice to see that I have grown and developed over the last 15 years, but what kind of freaks me out is seeing things in this drawing that I still do. Still not sure what is going on with the anatomy from the shoulders up... all kinds of wrong. I have been into monsters my whole life and the lizard verity of D&D have obviously had my attention for many years. It was a real blast to be able to create this piece and I made sure I gave it all the time and attention it needed. 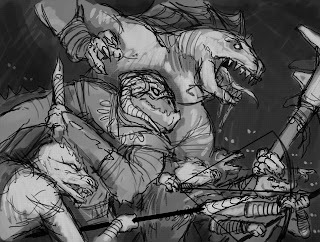 The art brief for Warriors of the Poison Dusk called for a Black Scale Lizardfolk and a Troglodyte surrounded by many Kobolds so the layout stage was key for this piece. 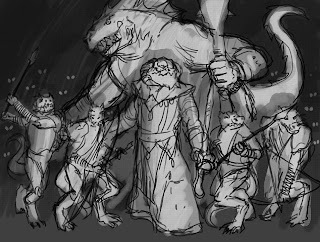 This started with really loose small thumbnail sketches so that I could get my mind around a couple of compositions and so that I had a game plan going into taking photo reference. 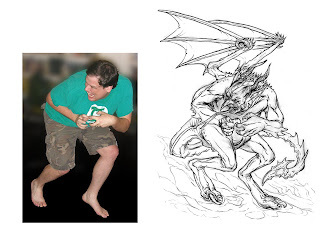 I had my wife take photos of me posing as each and every monster, sometimes doing several variations of each pose so that I had some verity to work with. I held props so that the physicality was there with the weapons and so that I had something to interact with. 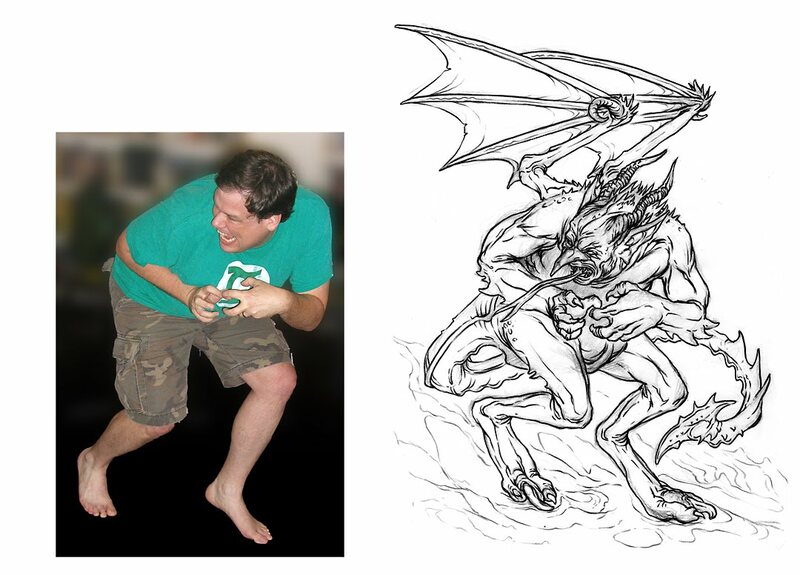 I now have a ton of really silly, but very useful photo reference of me being lizard monsters. None of these will ever see the light of day... so don't even bother asking. 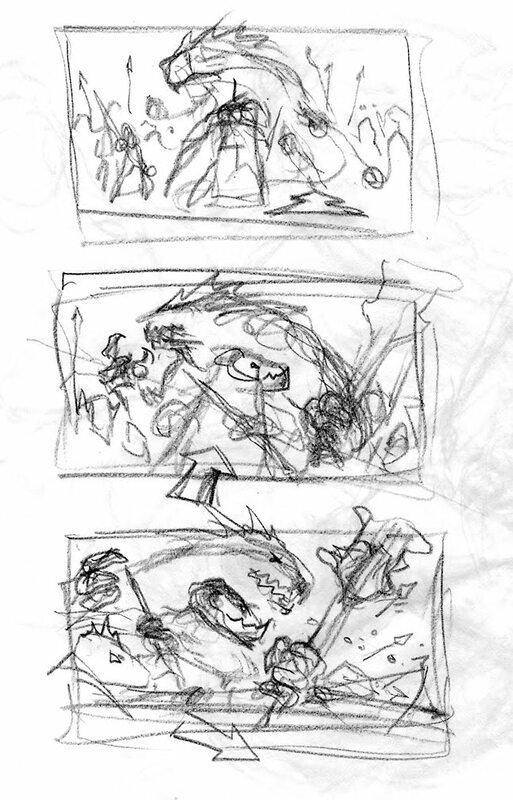 After I had all the photos I began working out more developed compositions based on my thumbnails. I played around with each until I was happy and then created a more developed, but still loose layout comp that I would submit for feedback and review. Very flat and straight on but shows off most if not all of the creature's bodies. A little on the nose for me but you sometimes don't know what the AD might respond to. Better. 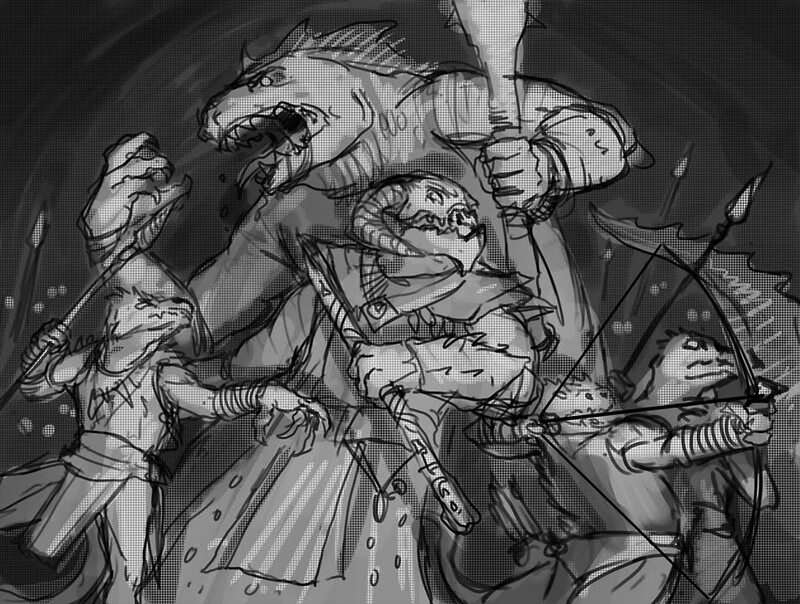 I liked the idea of the Lizardfolk shouting commands to attack and move forward while the Troglodyte and first line of Kobolds are poised to attack. By far my favorite. Really trying to work on a triangular composition with the figures and bow. I liked the idea of the strong size comparison with the small Kobold, medium Troglodyte and large Lizardfolk. Had my fingers crossed that this one would get picked and made sure to express my feelings about this to the AD as well. When it came to the actual painting the steps and methods did not vary much from the process I shared with you on the Sea Demon Shrine (Part 1 & Part 2). I start with the drawing, followed by the under painting, then the painting and lastly rounds of revisions and corrections. 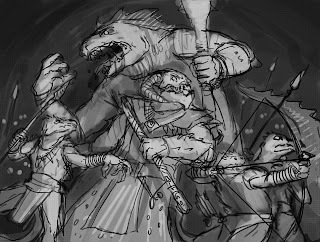 This piece was a little dark early on and I had to lighten the whole thing up several times... the problem of black reptiles in a black cave. After much time and revisiting the piece I called in finished and turned it in for review, it was approved and appeared in Dungeon Magazine #185. If you have any further questions regarding any of this let me know and I will see if I clarify any of my ramblings. The main point of this process discussion is to show that about 40% of my time and effort on this piece went into it before I began painting. The remaining 60% of effort was made MUCH easier by working very hard on planning and preparation. 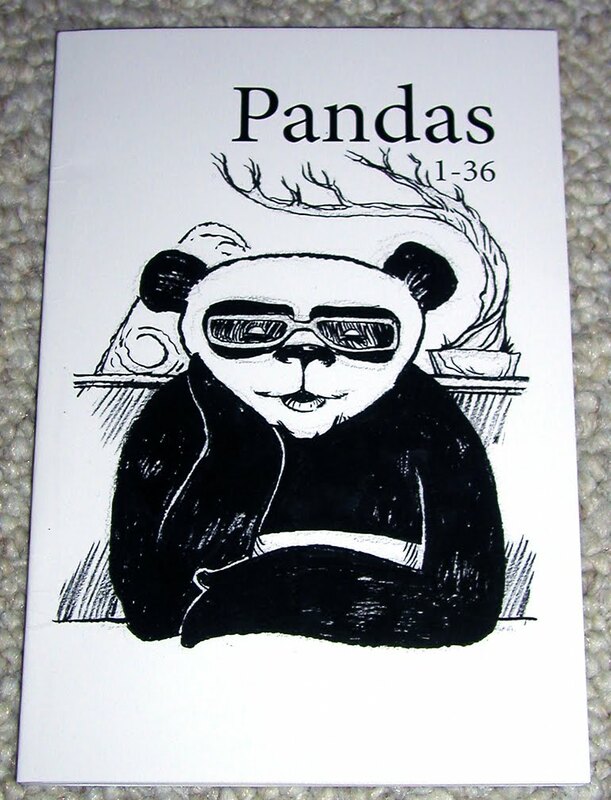 For Christmas I complied the first 36 panda drawings that I have done for my wife into a 42 page book simply titled, Pandas 1 - 36. 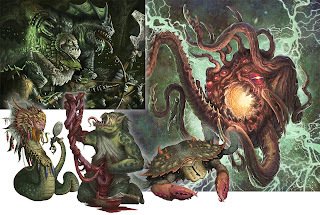 The huge difference between panda bears and tentacled monsters is not lost on me. This was meant to be a one off personal gift but my wife thought that this could be a good way to help out real pandas if people were interested. She suggested that I could make the book available through Lulu and have the proceeds go to the Wolong Panda Reserve or other charity that helps the panda. 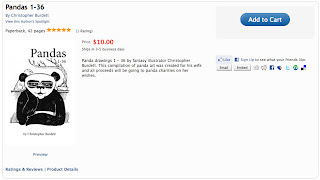 I put to you then, is this something you might be interested in purchasing to help some real pandas? If I get enough of a response I will set the gears in motion to make this book available. A peak inside Pandas 1 - 36 where we can see Space Panda and Halloween Panda! Some more Pandas, a Crabby Panda and a Grumpy Panda that has to do it's homework on a really nice day. I know there are a lot of panda fans out there so I hope to hear from you if this interests you at all. We thought it would be a good way to put something in peoples hands while putting some money towards helping out an animal that we both like a lot. I hope to hear from you if this sounds like a something you would be interested in. Fresh from the drawing table... Naga! 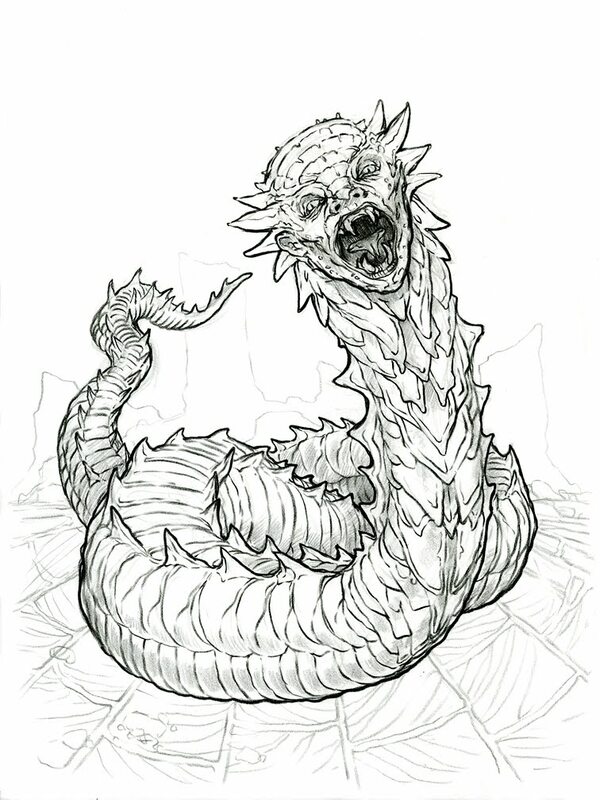 Earlier this year I did a Naga... or in this case a Wormfolk piece for Paizo and it had gotten my gears turning in regards to these snake monsters. The Paizo Naga has a very distinct look so I was not in danger of being too influenced by it, but I did know I wanted to go with a scaly plated monster look. A human head on a snake body is just too on the nose and hopefully I have succeeded in adding another layer to this classic monster. For the last several years January has been a big time for self reflection and planning... but I thank that is a fairly common reaction to the start of the year. I have already talked about the year in review now I am looking ahead. More importantly, I am looking ahead in how I and my work is represented online... I am looking at you, ONLINE GALLERIES. The purge is coming! Well, it has already kind of begun... Starting last month I have begun cleaning things up online, making sure online are up to date and tidy. Even though I am still in the process of giving my entire web site a face lift I went through and really cleaned house last month. I was a little embarrassed to see some of the work I still had up there. I was slacking in the self promotions department big time by having really out dated work on my website while newer work was painfully absent. I made sure the work on my site represents the type and quality I want to produce. Since my galleries are still small on the site I made sure to have up a temporary 'best of' page while the site gets overhauled. Not a perfect solution, but it gives the viewer a chance to see the work larger. Having taken care of the more important location last month, I am turning my attention to the web site with the largest online gallery of my work, Deviant Art. 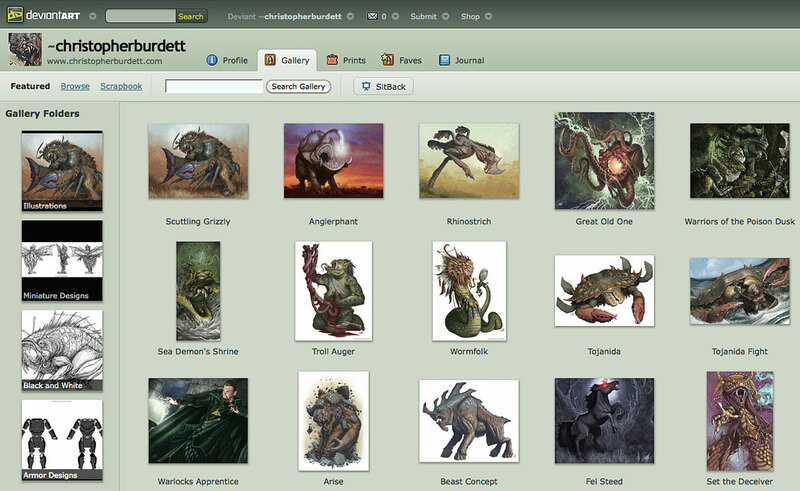 I created my DA account just under two years ago and I have been uploading work there often. There has been little to no editing all this time and it is very much overdue. I sent out a journal post over the weekend stating my intentions to purge my galleries in the coming week and to have last looks because work will be going away forever. Deviant Art - the purge will begin this week! Removing art will not be my only goal, I also want to better organize the work there so that people interest in a particular branch of my work can find it. 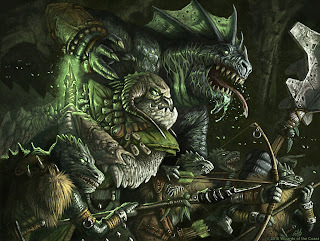 Work for Pathfinder and Fantasy Flight Games with be getting their own galleries. This is something that I should have gotten around to sooner, part of self promotion is making sure your best foot is forward with your galleries. And remember, I have said this before, art directors judge you on the WORST piece in your portfolio and not your best. So now is a good time to get rid of all those weakest links! First, I want to thank everyone that took the time to read and comment on my blog post on Wednesday about getting MORE serious. Thanks so much for the kind words and I am just glad to hear that it is relevant to so many! 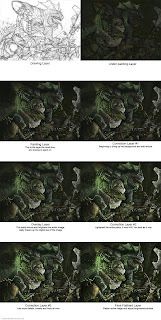 There was a question asked about some more information about reference and how I use it. I will be addressing this very soon on the blog, I just will need a little time to get my thoughts together. A short time ago I was asked here on the blog what books I use for reference in my work. I thought to do one better, I have for you today the books I use for reference, as a learning resource and for enjoyment / encouragement. This is one of my newest additions and it is AMAZING! Loads of great photos of rock, plants, insects, fish, birds and mammals - as well as everything in between. There are many double spreads were a single animal will have closeups and detail photos from all over it's body. A must have for anyone doing creature work. 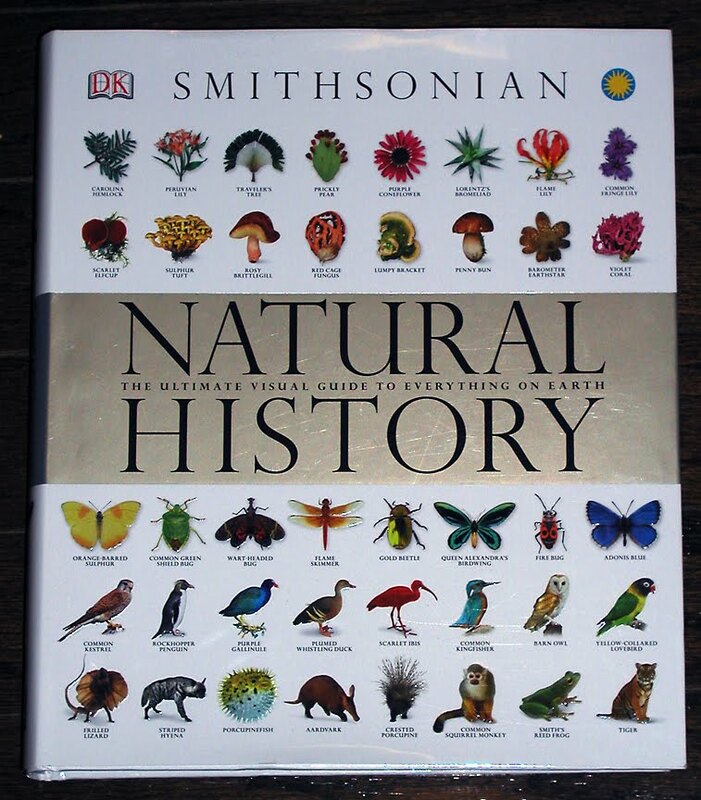 Very informative with a really good selection of animals. 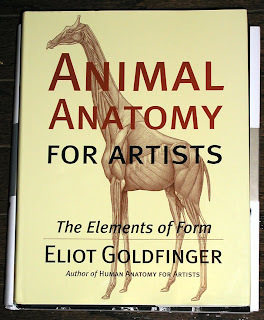 I you need to see how an animal is put together this is the book for you. A great resource for bones and muscles. 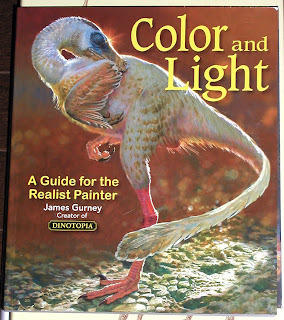 If you don't know who James Gurney is, stop right now and go look him up. 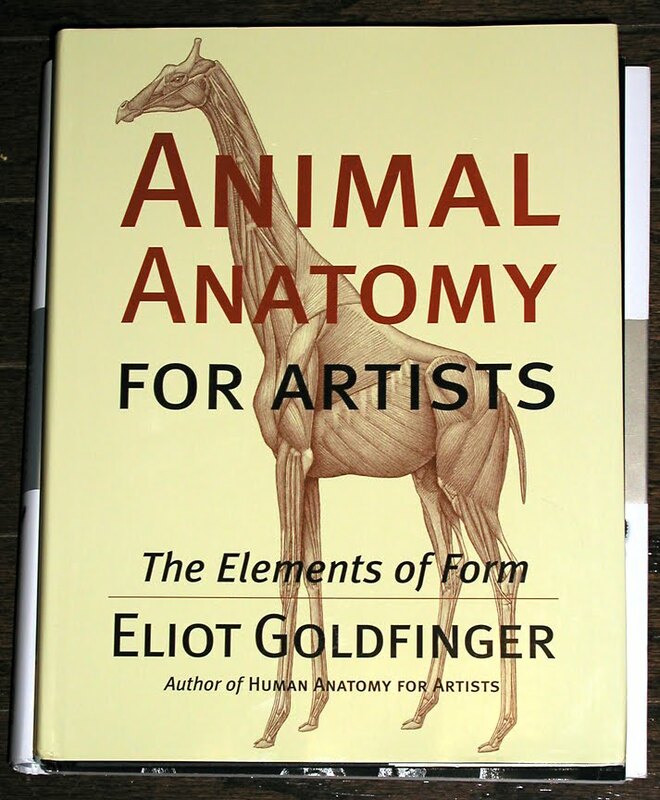 He is a font of knowledge and this book should be mandatory for anyone working in the illustration industry. If you don't have it go ahead and just go buy it, you will thank me later. I am currently reading this one. Very informative to say the least. 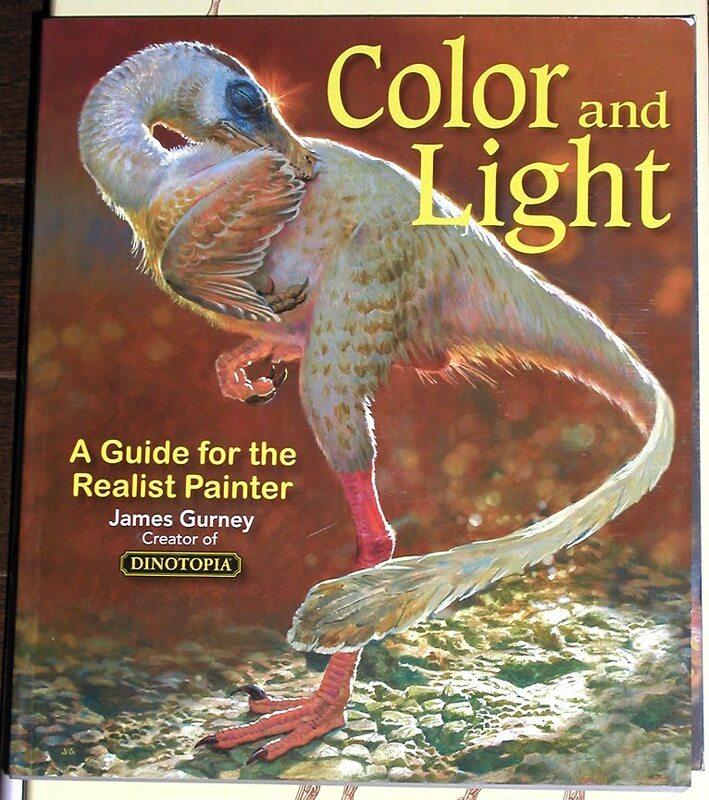 If you want to understand color and light better this is a good place to start. 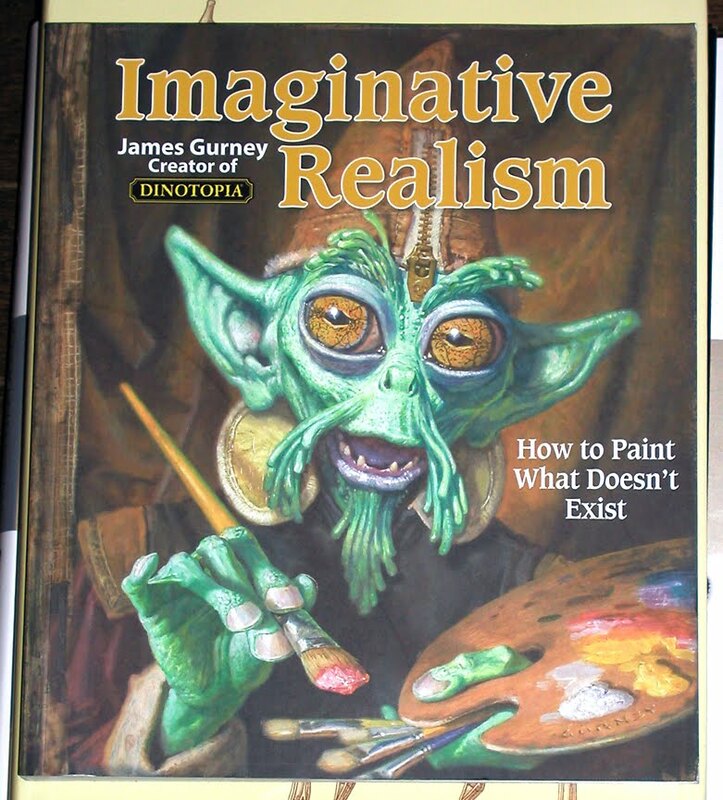 I will say again, this book should be mandatory for anyone working in the illustration industry. If you don't have it go ahead and just go buy it, you will thank me later. Oldies but goodies, these three have seen me through a lot and I still look through them. 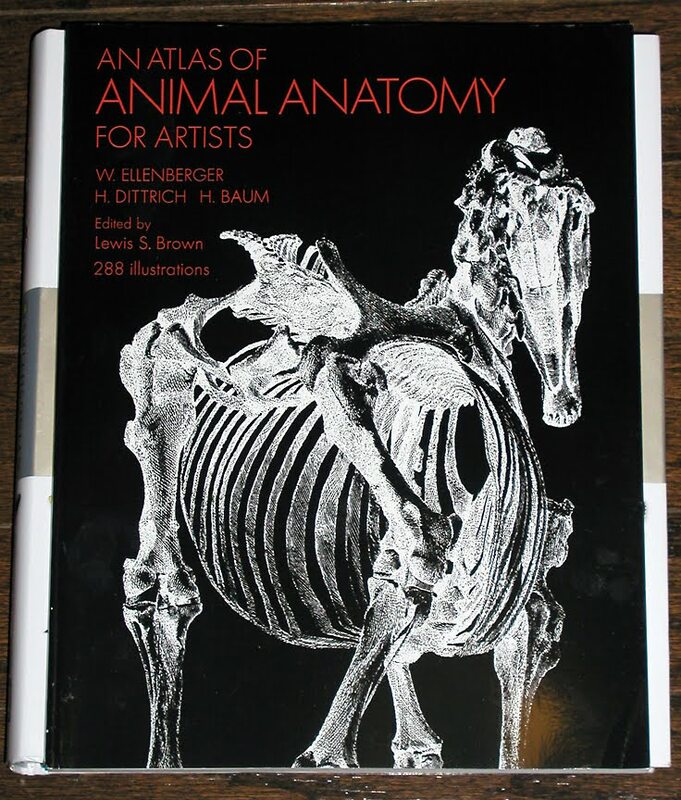 They are filled with many great photos of animals that are a good starting point for any creature project. 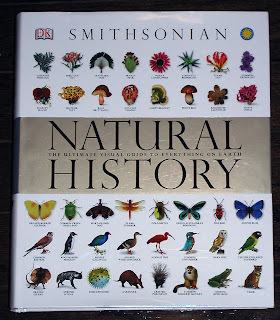 My new Smithsonian Natural History book might eventually push these off my go to stack, but for now they are still very useful. 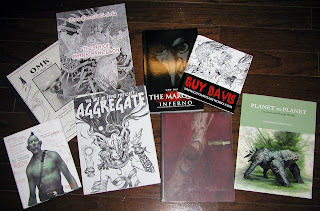 Some of these are new and some of these I have had for a long time, but they are all artist and images that interest me. Looking at these artist's work can really get my own ideas flowing. If you are unfamiliar with any of these artists or their work I would suggest you taking the time to go and look them up! That is all for today and the week... the first week of the new year is down, 51 more to go. See you back here next week and until then, happy reading! A year ago I wrote a pair of posts about how I 'got serious' in 2009: Part 1 & Part 2. 2010 has come and gone and I have some thoughts to share about the past 365 days. Getting MORE Serious, or: How I Learned to Stop Worrying and Love REFERENCE. In retrospect I feel I spent most of 2009 just getting my ducks in a row and getting my name out there in attempts to drum up work. Coming off of Illuxcon 2 in November of 2009 I had a lot to think about and some helpful but rather bruising critiques to process and absorb. All of my efforts in 2009 lead to me beginning 2010 with a group of clients I felt comfortable working with that were sending me work on a regular enough basis. All that aside 2010 started rather slow work wise, but at the time I didn't realize how advantageous that was. It left me with a lot of time to think and work on my own personal projects as I filtered through all that 2009 had taught me. Concentrating on Jon Schindehette's advice to figure out the types of monsters I really wanted to make and make them I did a lot of thinking and sketching. Surprisingly, in the end, Jon made it even easier for me by having a Mutation Nation challenge on Art Order. I kind of got carried away and before I knew it I had finished three paintings of crazy mixed up animal monsters. Reference + thumbnails + reference + sketching + MORE reference + planning + painting = a much stronger final piece. Who knew? Well, apparently a whole lot of people that had been trying to tell me that for years, but I was too clueless or stubborn to listen. 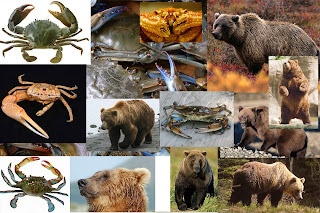 If I am going to make a crab bear monster it really helps to look at lots of images of crabs and bears. Sitting there trying to pull what a crab and bear look like out of my head is a huge waste of time and will result in some less then inspired results. Sure, I have used reference, loads of reference over the years, taken photos, used props, searched the web and I have a very large library to pull from, but I don't think I was using it correctly. When I talk about reference I also group into that being aware of the world around you. This includes how light and color works to make and describe the world around us. Understanding light and color better has been a real challenge for me. For me it was one of those 'Ah-ha!' moments. Having reference and USING reference to it's full extent are very different things. In some ways I feel I had to also learn how to look and see better and that I need to look and see in a very particular way to get the most out of my reference. For me at least it was as this change occurred overnight, one day it was not there, the next I was looking at everything differently. This is a good time to say I am still learning and making mistakes, still struggling with old habits and really making an effort to make sure I give it my all and not just enough. You want an example? Lets look at an assignment that came in just a short time after I finished working on the Mutation Nation monsters. The project was to work on a new expansion for the Talisman board game. I had worked on two previous expansions so I was eager to work on another. To my surprise I was assigned two horse pieces and three pieces centering around humans. Having never even drawn a horse before I leaned heavily on reference to get me through, as a side note, my home library now has several new horse books. The three human pieces on the other hand almost proved my undoing. With the help of my wife I had a lot of photo reference of myself in costumes, with props and with appropriate lighting which I 'used' for my sketches and final paintings. Please note I will not be posting silly pictures of myself here posing for reference, use your imagination. Looking back now I can't even see the hint of my reference being used in my sketches‚ they may as well be out of my head. I was drawing and eventually painting what I thought was there rather then what was actually there. Not using the reference correctly or at all. I was falling back on old bad habits. Habits and practices that have proved detrimental to my work. I kept staring at the paintings and working and reworking the pieces, but ultimately it was a bad foundation to the entire piece that lead me to a bad painting. I finally had to just stop what I was doing, realize that I needed to get serious about what I was doing, get better reference and actually look at it and use it to make a better painting. Reference is not cheating. All the top artist use reference. I wish I knew where I got this notion in my head that to be a good artist it meant getting everything out of my head. So I took a deep breath, got serious, and got some reference. You can say this is not my best painting, but it is a much better painting then I was at first allowing myself to make. At the time this was a huge moment for me as an artist. I am sure for some it seems like a no brainer… but it was definitely a hurdle I had to overcome and one that had been dogging me for years. It is up to me to make the best product I can and that means planning ahead on all my projects and using reference effectively. No one else is going to hold my hand and walk me through this. The only reward for not doing this is to stay at the level you are currently working or loosing clients when someone else is willing to push to that next level with their work. In 2009 I produced far too much work with not enough or no reference at all. Looking back it definitely shows in those pieces. This leaves me with substandard work and it made it very hard to get more work with some clients I really want to work with. A little extra time and effort in the beginning really pays off in the end. 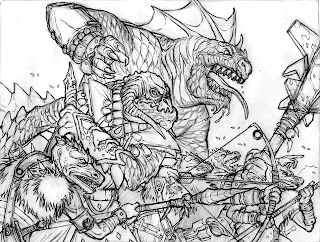 Case in point, I posted the processes of a piece I did for Dungeon Magazine late last year that went through all the steps that lead to a finished piece I am really pleased with: Part 1 & Part 2. To wrap things up, make sure you plan out what you are doing from the very beginning of an assignment and USE REFERENCE! Reference is not bad is it vital, it is necessary and I wish someone would have pounded it into my skull much sooner. It is VERY important to point out that I spent this entire year repeating one thing over and over to friends, fellow artists, art directors, clients, perspective clients, past clients, current clients, the cat, the wall and just about anything else I could tell‚ I MAKE MONSTERS. No elves, no pretty girlie things, no expansive battle scenes with hundreds of figures‚ just monsters. Monsters are what I am passionate about, what I love and what I will do the best damn job that I can on. Will this limit the amount of work I get? Maybe, but by looking at 2010 I am not so sure that focusing on just monster is having any sort of negative impart on my work load. I would like to think that my clients understand that I will be giving them a much better product if I get assigned the type of work that I can really get excited about. 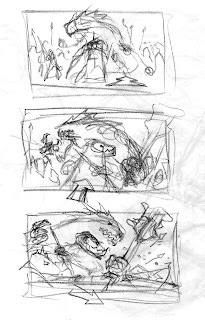 The funny thing was is that I think I told everyone in 2009 that I just make monster too… but I don't think I was showing them that I just wanted to make monsters. I got a lot of assignments that were all over the place in 2009. I am learning that some of this comes from a better relationship with the clients and art directors and some of this comes from being able to communicate well. In the end though, I think a lot of this comes from being able to show everyone clearly the level of work to be expected if you are assigned the type of work you are best at. This may mean turning inappropriate assignments down and this may mean not making it onto an assignment because there is just not anything for you. 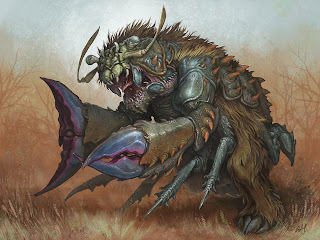 If you are one of those folks that can do it all, I salute you and wish you the best, just leave me some monsters! As well as focusing on the type of work I am creating I am also focusing on the amount of work I am taking on. I am trying‚ and sometimes succeeding in taking on fewer pieces when possible so that I can put more into each piece and raise the over all quality of my work. Not always possible, but it is a goal I am trying to aim for as I move forward with my work. I know that not everyone is able to do this, but right now, for me, I think it is a good decision to make. Patience. For the artist it is time to eat as well. Lastly, I would like to share the one constant throughout all my struggles, the one thing that seems to be a constant frustration… it just takes time. You can't rush growth and change and we can't rush the time it takes to make a finished piece. We are all going to have to put the time and effort into the process of getting better. There are no shortcuts and there are no tricks, just good old fashion hard work. As frustrating as this is and how much I curse it myself there is no way to get better then to work at it. I have begun to think of each painting as a road trip. It takes a certain amount of time to get from point A to point B. Sometimes they are closer, sometimes farther, but you are going to have to put in the time to get there. You just need to sit back and give the road trip - or painting the time it needs to be completed. Sure, you can try to speed, but you risk something bad happening that way - a ticket or accident or a less then polished paint that has careless errors in it. Yes, there will always be the folks that work much faster and advance much faster then everyone else but the rest of us have to put in the time. The three things I can say I have taken away from 2010 is: REFERENCE, FOCUS and PATIENCE (in that order). I don't feel you can get by without addressing all of these, well at least I have not been able to. If you have any questions or would like me to clarify, let me know. I hope my ramblings have been helpful, useful or at least mildly amusing. I hope 2010 was a good year for you and here's to 2011 being even better! Now, let's get to work!